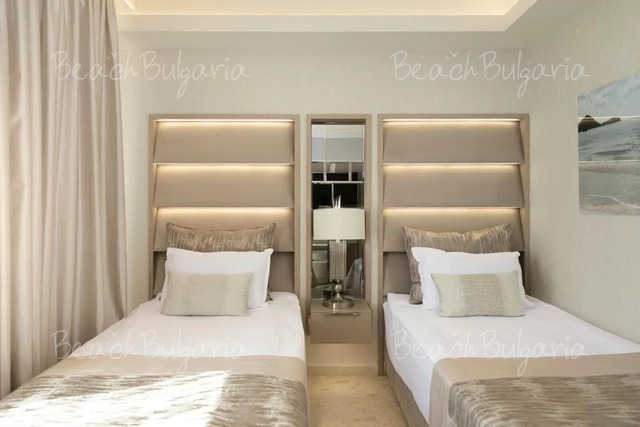 Dune hotel is located on a private beach in Sunny beach resort. 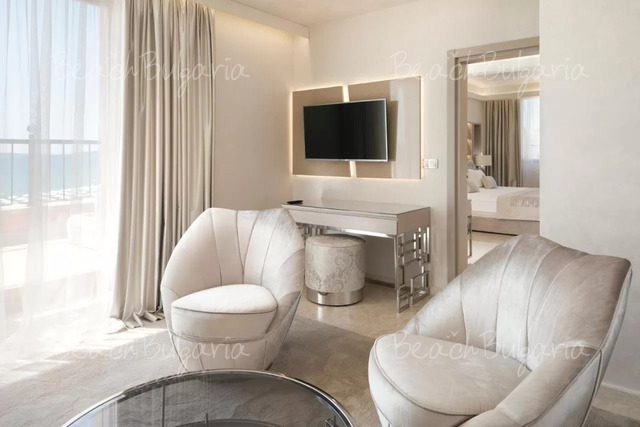 The hotel offers unique architecture and stylish interior design, excellent service and facilities. 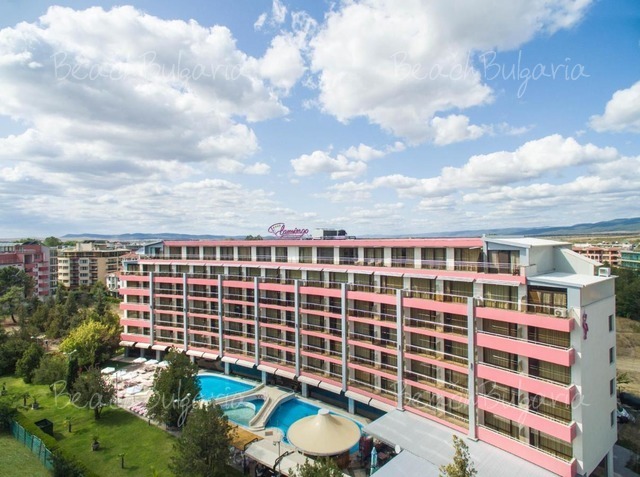 The hotel features single rooms, double rooms, studios and apartments. The guestrooms are luxuriously furnished. The rooms offer a king size double bed and internet connection. 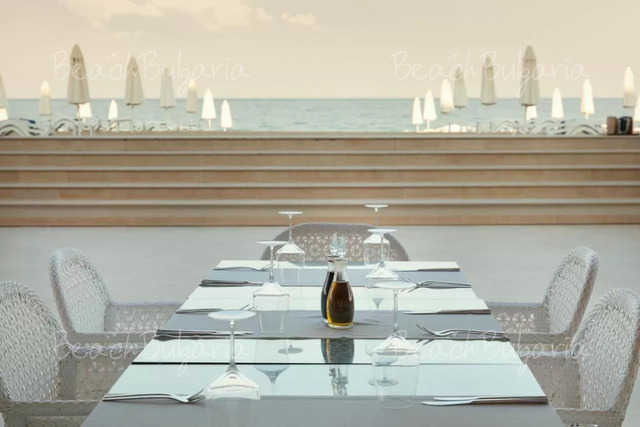 The restaurant offers dishes from Bulgarian and European cuisine, private tables with a sea view. 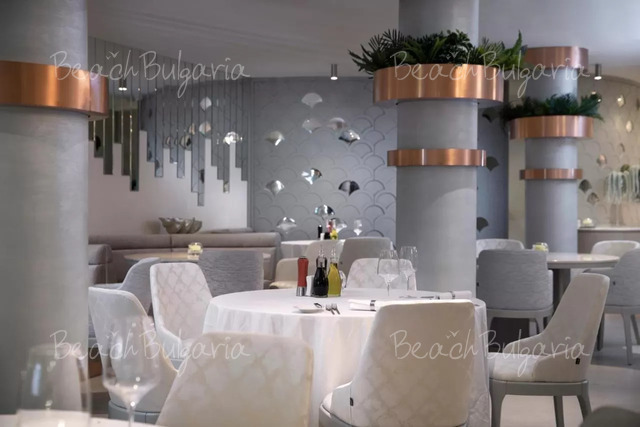 At guests' disposal are beach bar, sky bar and wine cellar. * The rates are in EUR per room/apartment per night, breakfast included. 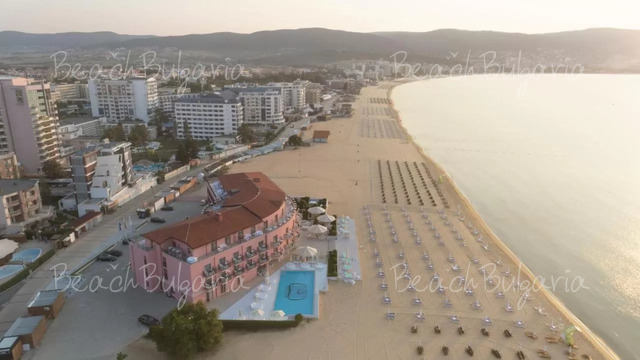 Swimming pool use, parasols and sunbed on the beach included in the price. 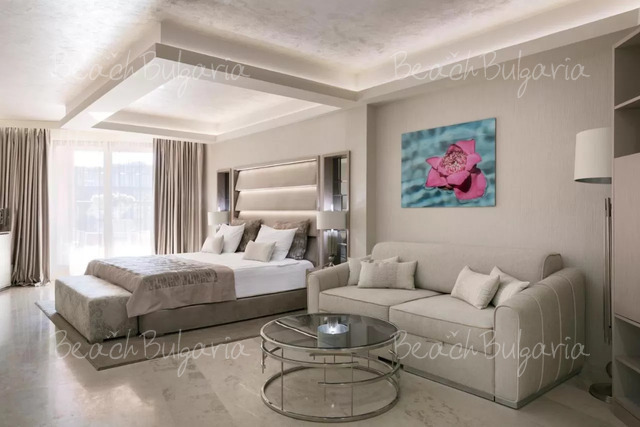 * Cancellations can be made free of charge providing details of this are received at least 21 days prior to check-in time on the day of arrival - cancellations made after this period will incur a fee equivalent to the cost of 50% of the accommodation. Please, post a comment on Dune Hotel. Thank you for the really nice holiday, we just had not more time but we gonna come back .